| Welcome med school dating site ! 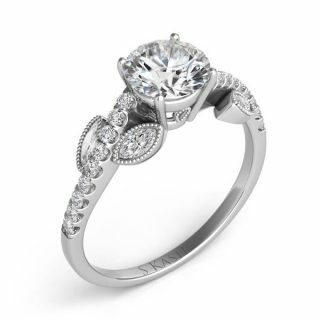 Check out our large selection of Engagement Rings in Sterling Heights. Todays hottest styles and trends. 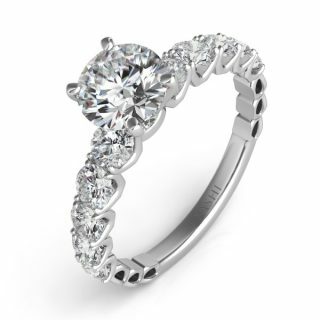 Visit us today and let us help you find the ring of your dreams! 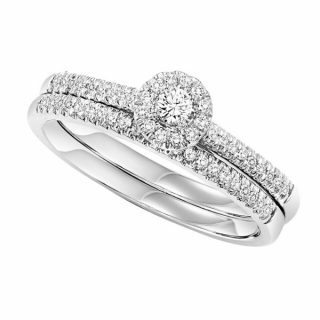 This beautiful ladies 14K white gold diamond bridal set is the perfect pair of rings for you! The engagement ring features a round halo of diamonds to give your ring more sparkle! 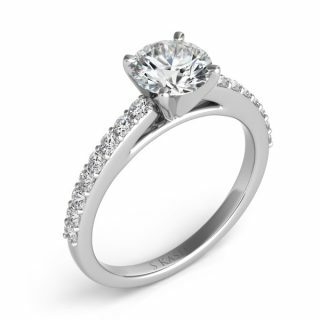 The engagement ring comes with it’s perfect match: the wedding ring! The diamonds on the wedding band match up perfectly with the engagement ring! The bridal set contains 1/4 carats of diamonds total. 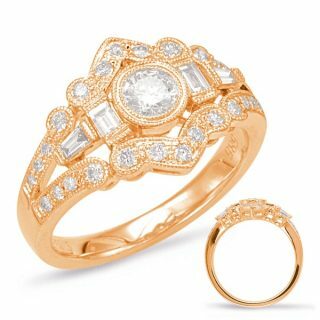 The set is available in 14K yellow gold or rose gold upon request. The finger size available is size 7. Additional sizes are available upon request as well. Available in 14K white, yellow, or rose gold. 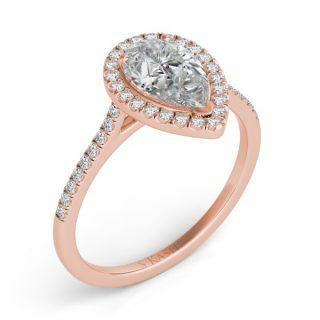 14K Rose Gold Diamond Fashion Ring. There are a total of 31 stones. There are baguette diamonds with a total carat weight of 0.17ct set in a Bezel Set / Micro Pave setting there are round diamonds with a total carat weight of 0.52ct set in a Bezel Set / Micro Pave setting. 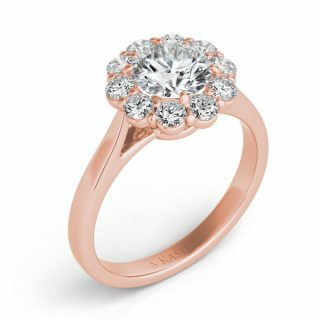 14K Rose Gold Diamond Floral Inspired Engagement Ring. 14K Rose Gold Oval Halo Diamond Engagement Ring. 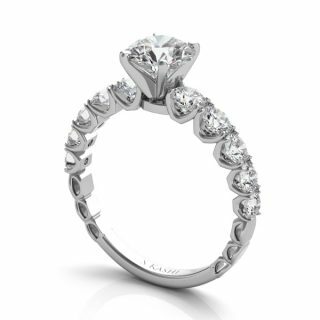 This beautiful five-row two tone engagement ring is a head turner! There are a total of 130 stones in the ring for a total of 1.15 carats! Diamonds are bezel, micro prong, and shared prong set. 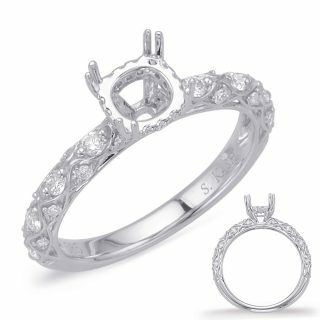 Not only does this gorgeous ring look like multiple rings stacked, you can stack even more. 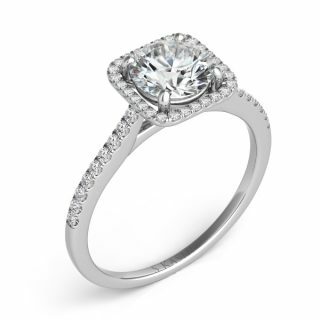 This ring also features a large cushion diamond halo to really show off that center diamond! 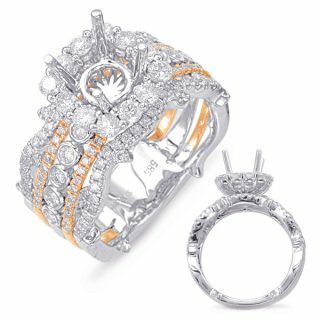 Available in 14K white gold and yellow/white gold. 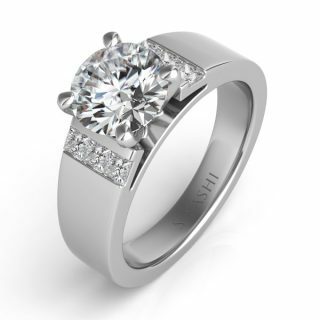 This ring is beautifully crafted with a high polished finish for a super modern look. If you’re looking for a modern and sleek style, this ring is for you! 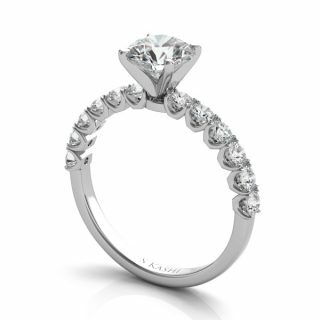 This ring features 12 round brilliant cut diamonds, channel set. The total diamond weight is 0.63 Carats. *Available in 14K white, yellow, or rose gold, 18kt white or yellow gold, platinum, palladium, or silver. 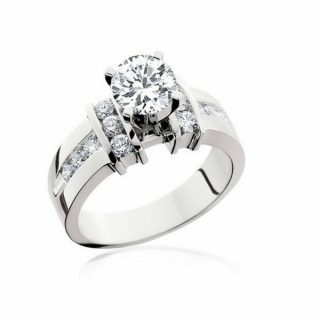 Ladies Engagement Ring 14K White Gold. There are a total of 28 stones. 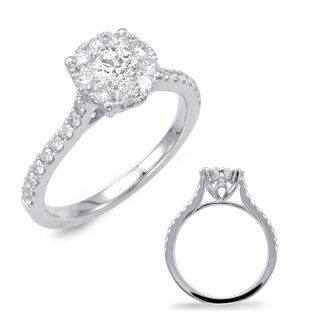 There are round diamonds with a total carat weight of 0.91ct set in a Prong Set setting. 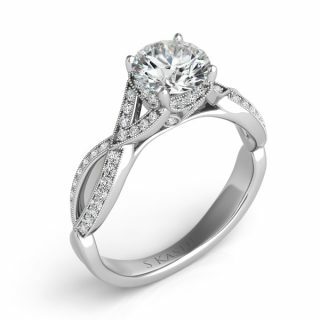 Ladies 14K white gold diamond cluster engagement ring. 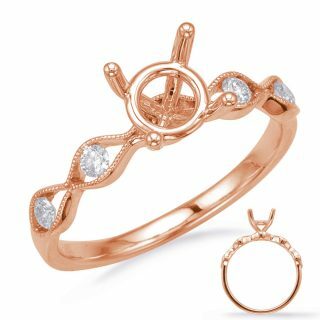 This ring features a variety of different shape stones. 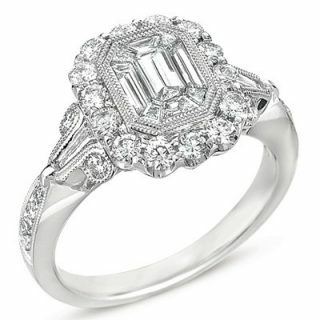 The center of ring features an emerald shape diamond. Surrounding the emerald shape diamond, is baguette shape diamonds. The halo and side stones features round shape diamonds. 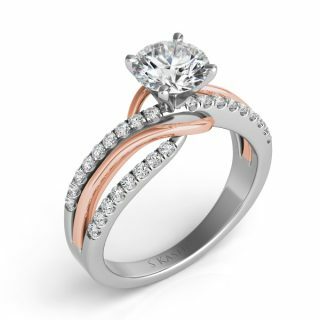 This ring also feature a special milgrain design giving the ring antique look.